Mysore Intensive - Breath. Focus. Love. This Workshop is for everyone wishing for more clarity and contentment. A 5-day journey to slow down, breathe, sense and simply be. Embracing a warm, curious and intimate relationship with oneself by exploring the subtle topography of our inner landscape. Experiencing that Yoga is now. Revealing a state of non-doing & acceptance and the courage to gracefully appreciate the natural currents of life. Each morning class starts with a silent meditation followed by simple pranayama exercises and chanting. During the Mysore Style Practice you will receive individual support and gentle adjustments. Two afternoon sessions will cover introspection & contemplation through asana refinement (peak poses of primary and intermediate series) meditation & mindful practices, stress release techniques, journaling & self care, yoga nidra, sutra chanting & bhajans. Pre-Requisite: Established Mysore Style practice (at least standing postures), the commitment to love & a good sense of humor. 12.00 - 14.30 a blend of Asana Alignment, interactive talk, mindful practices, stress release techniques, journaling & self care, yoga nidra & chanting. Annette Hartwig is an ashtanga yoga practitioner since 1997 and has been teaching in Europe, Asia and Australia. With 2 decades of experience and her intuition Annette creates a nurturing, challenging yet safe class atmosphere. She encourages all students to feel and be present in the moment - as that is where genuine change is possible. Annette is a longterm student & assistant of Dena Kingsberg (certified by Sri K.P. Jois) and continues in-depth-studies with Richard Freeman, Clive Sheridan & Emil Wendel as well as several trips to Mysore practicing in the “old” and the “new” Shala. 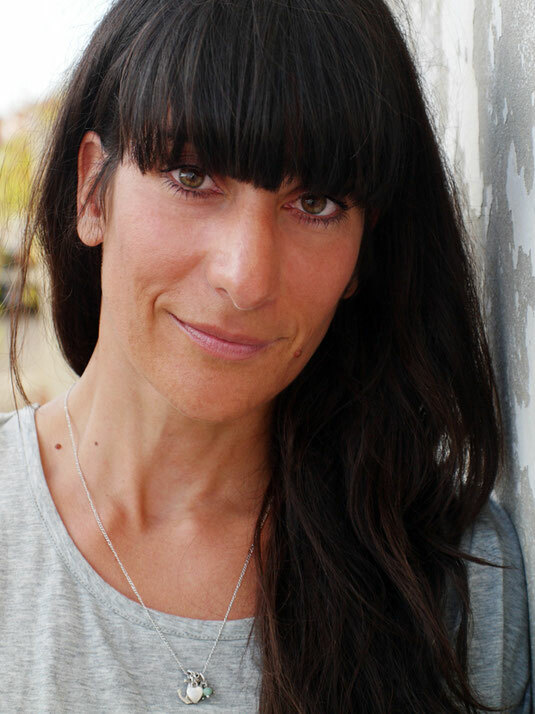 Annette has co-founded one of the first yoga school in Hamburg and is now director of yogabija - a platform for international retreats, workshops and Mysore Intensives in Europe. Since a few years she lives on the southwest coast of Portugal where she and her partner run the Dawn Collective Shala.